is thrilled and proud to continue the work on her autobiographical play Last Call after it’s critically acclaimed runs at IRT in New York City, Empire Stage, and The Broward Center for the Performing Arts, in South Florida. Other credits include; Off Broadway: Hysterical Blindness (Soho Playhouse), Lypsinka – A Day in the Life (Cherry Lane Theatre), Hello Muddah, Hello Faddah (Circle in the Square Downtown). Regional: Peter Pan (Peter – Virginia Stage Co.), Paper Moon (Ford’s Theatre), Beehive (Sahara Hotel, Las Vegas), Grease (Jan – Theatre League Tour), West Side Story (Anybodys – L.A), Sweeney Todd (Tobias – L.A). 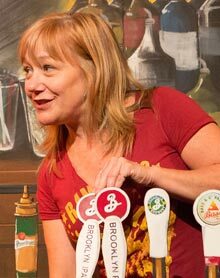 In addition to having originated several roles in new plays that you’ve never heard of… Terri is also a stand up comedian having worked at most of the clubs in New York City. As a comic, she was a host for Good Morning America’s “All Night Long” series, and featured in the VH1 programs “Robbing the Cradle” & “Hot Babes, Ugly Guys”. Most memoriable gig? A live industrial where the line up consisted of only Terri, General Colin Powell and The Brian Setzer Orchestra… Terri is unbelievably grateful to Michael & Phil for their continued support in making this show happen. 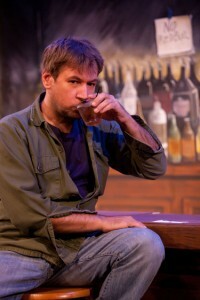 B’way: Swinging On A Star (Writer/Director Tony Award nom. Best Musical). Off-B’way: Hello Muddah, Hello Faddah – The Songs of Allan Sherman (Drama Desk Award nom. Best Director/Best Choreographer). Lypsinka – A Day In The Life (Director/Choreographer), Showing Off (Director/Choreographer, starring Donna Murphy), The First Step (NY International Fringe Festival), Carmelina and 70, Girls, 70 (starring Jane Powell & Charlotte Rae) for the York Theatre’s Musicals In Mufti series. Regional/International: Arthur Miller’s Playing For Time (Director/Adapted teleplay, Edinburgh Fringe Festival First Award), A Little Night Music (Director/Choreographer, Houston Grand Opera starring Frederica Von Stade & Thomas Allen) and Marc Blitzstein’s Regina (Florida Grand Opera starring Lauren Flanigan). Film: choreographed End of Summer (starring Jacqueline Bisset & Peter Weller), co-wrote The Simian Line (starring William Hurt, Lynn Redgrave, Tyne Daly, Harry Connick Jr., Cindy Crawford) and The Last Film Festival, (starring Dennis Hopper, Jacqueline Bisset, Leelee Sobieski & Chris Kattan.) As a Songwriter: Martin Charnin’s Off-B’way revues Upstairs At O’Neals and the No Frills Revue, as well as CBS’s The Comedy Zone. His plays include The First Step (authored as Henry Covery) and The Gift. As librettist: Miracles (co-wrote with Joe Stein, score by Sheldon Harnick, Stephen Schwartz, David Shire, Marvin Hamlisch) and a new version of Cole Porter’s Red, Hot And Blue (Director/Writer, Goodspeed Opera/ PaperMill Playhouse) as well as co-writing the book, music and lyrics for Mating Habits of the Urban Mammal, (Broward Stage Door Theatre). In South Florida: the inaugural season of Laffing Matterz at the Broward Center for Performing Arts (Director/Choreographer), the new Lisa Loeb musical, Camp Kappawanna for City Theatre (Director/Choreographer), The First Step (Empire Stage Theatre), The Boys In The Band for Rising Action Theatre, A Little Night Music (Carbonell nom. Best Musical), The Glass Menagerie, Come Blow Your Horn, Mack And Mabel (Carbonell Best Musical), Steel Magnolias and The Light In The Piazza (Silver Palm Award for Direction) for the Broward Stage Door Theatre. Michael is currently developing a new musical, Theme Dreams, for Tiger Theatricals. 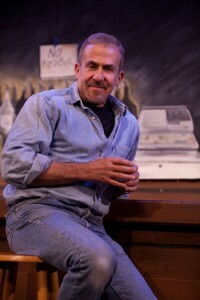 is thrilled to continue working on Last Call after two critically acclaimed runs in South Florida. Always in the studio, he has lots of records coming out in the next year, but nobody that you’ve heard of… yet. Phil has been in the trenches working with bands for over a decade — producing, engineering, playing guitar/bass, touring, mixing FOH, etc — most notably engineering on Radio 4’s Gotham, Stealing of a Nation and Enemies Like This. And over the last few years, his star’s been rising. He produced/engineered on The New Pornographers albums Challengers and Together, A.C. Newman’s album Get Guilty, and has been working through a whirlwind of back-to-back projects ever since, with Neko Case, Okkervil River, The Bogmen, Bird of Youth, Ted Leo and the new New Pornographers. In 2010, his work with Neko Case on her album ‘Middle Cyclone’ granted him two Grammy nominations for Best Contemporary Folk Album, and Best Recording Package. In theatre, he was the sound designer on “Escape from Bellevue: A Rock and Roll Odyssey” written and performed by Christopher Campion, and ran to sold out houses at the Village Theatre in the heart of Greenwich Village.